Screaming Bee is pleased to release the Spooky Sounds Add-On in time for Halloween. 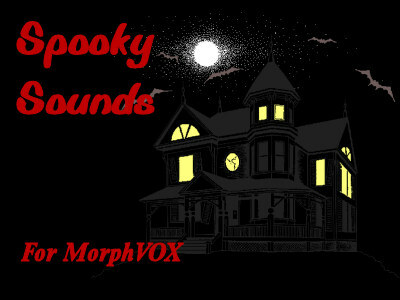 Add 18 scary sound effects to MorphVOX voice changer. Choose from screams, creaks, evil laughs and much more. Try the Spooky Sounds with the Creatures of Darkness Voices. You'll be all ready for Halloween with evil voices and bone-chilling sounds. Download these free add-ons for MorphVOX and give your friends a good scare. For more info on Spooky Sounds click here.